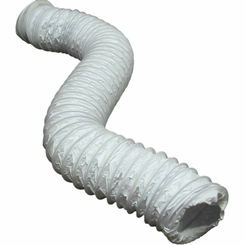 Save on dryer duct online here at PlumbersStock. 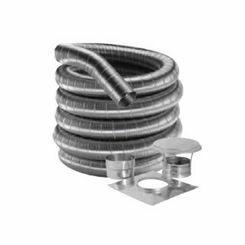 As an affordable solution, uninsulated flex ducting is commonly used for dryer applications, as well as bathroom exhaust venting. It's not the most versatile type of ducting, but it serves an essential purpose in home HVAC. 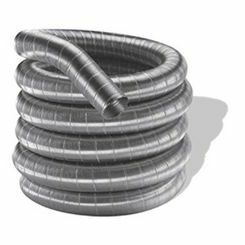 Check out this page if you are looking specifically for insulated flexible duct. 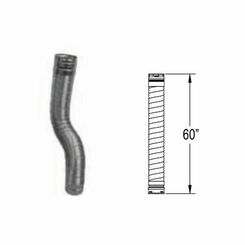 Flex duct pliable, allowing you to shape around a corner or to go above or below something. 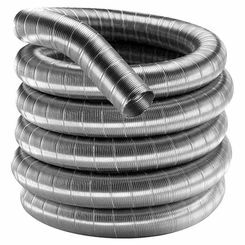 Flexible duct is made with a metal coil that is wrapped in plastic, foil, or most commonly in aluminum. 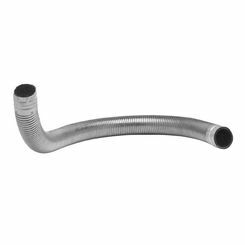 At PlumbersStock, we carry Deflect-o flex duct so that our customers know they are getting the best at a discount price. 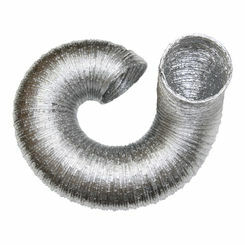 Both in commercial and residential applications, flex ducts are mainly used in venting applications. 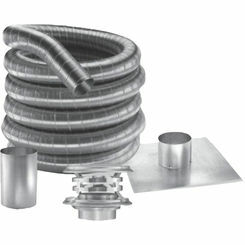 Some flex duct applications include clothes dryers, bathroom fans, and the occasional range hood. Only certain models of range hoods require venting. 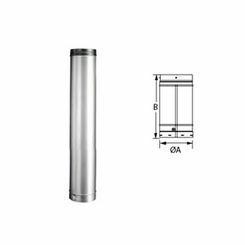 All range hoods are designed for venting, but it is not required. This is not the case with Dryers and Bathroom fans, however. These appliances need to be vented to the outdoors, whether by a roof or wall cap. Venting these appliances to the outside is important so that your exhaust is not blowing around your attic or crawlspace. 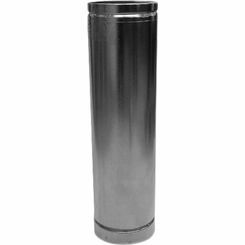 Note: to make secure connections between the appliance and dryer duct or the duct and the venting cap; it is important to use aluminum tape. Duct tape should never be used. Even though it has the word “duct” in its name, its adhesive will crack and loosen over time. 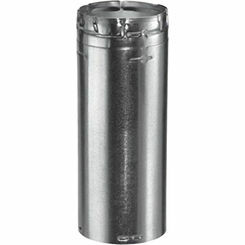 Deflect-o - Since 1960, Deflect-o has been part of the HVAC industry inventing and improving products. During that year, C.P. 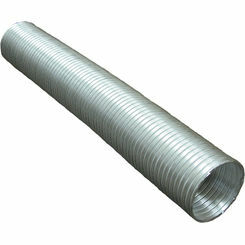 Meyer invented the first Air Deflector in his basement. 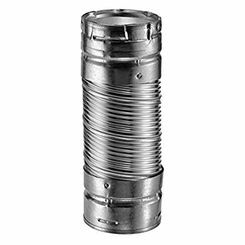 Not only did this one invention begin to build a leader in the manufacturing of HVAC flex duct products, but it also gave Deflect-o its name. Deflect-o also manufactures office furniture and safety reflectors. We carry other reputable brands too. Shop around! 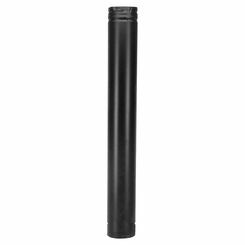 Here at PlumbersStock, we are dedicated to providing high-quality plumbing products to help you complete your job. If you have any questions, please do not hesitate to contact our professional staff.  Our wholesale prices and professional staff cannot be beaten anywhere on the web. 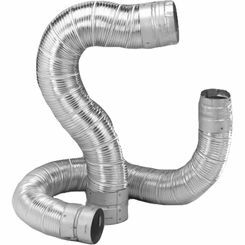 Thank you for choosing us for all your HVAC flex duct needs.